The years following the end of the Greek Civil War in 1949 initiated a new era for Greece that led the country through tremendous political, economic and social transformations. Inevitably, these changes had a strong impact on gender identities and relations, as well as on their representations in the film productions of the time. Aiming to highlight the ways in which Greek cinema can be examined as a cultural institution, influenced by, and influencing the socio-historical context within which it operated, this presentation consists of three parts. In the first, social change in Greece from the perspective of gender is under scrutiny. In the second, Greek cinema is discussed in terms of its emergence as an industry and its relation to the dramatic social changes that took place in the 1950s and 1960s. 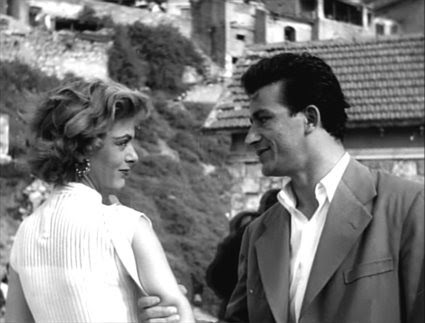 To provide a more tangible analysis of this interaction between social and filmic worlds, the third and most extended part of this presentation will focus on one of the most memorable films of the 1950s Michalis Cacoyannis’ Stella (1955). Stella offers unique insights into how masculinity and gender relations as social, cultural and visual constructs were negotiated and transformed during this period in question.